Experience the excitement of Tahitian dance! Musicians play thrilling toʻere (traditional Tahitian drums). Dancers movements are characterized by circular & sharp hip movements. Additionally, all Tahitian shows include an audience participation segment! Great fun for all! 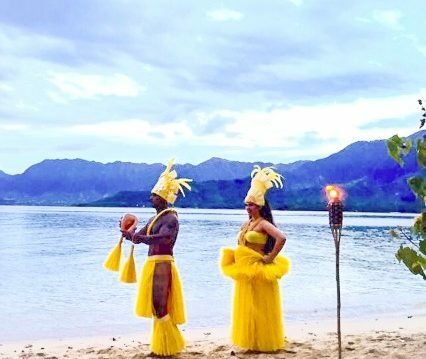 Hello just wanted to know about your quote for Tahitian dance entertainment for my wedding on September 8, 2018. I️ am inquiring for my reception.